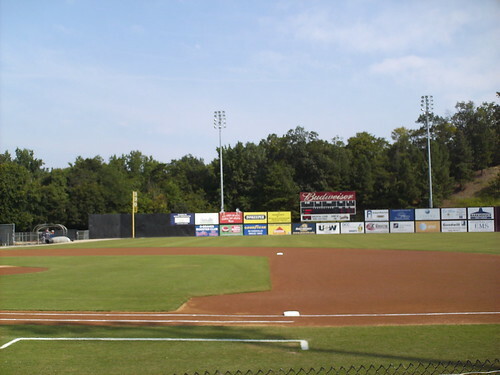 The view from behind home plate at Legion Field. 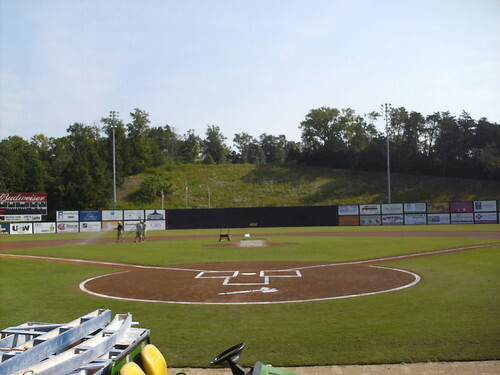 The view from down the third base line, looking out toward the hill behind the fence. 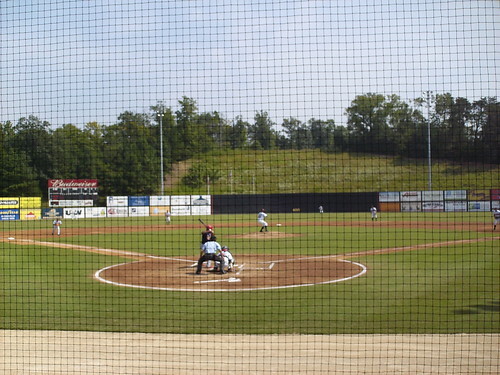 The ballpark sits within Dan Daniel Memorial Park, along the Dan River in Danville. 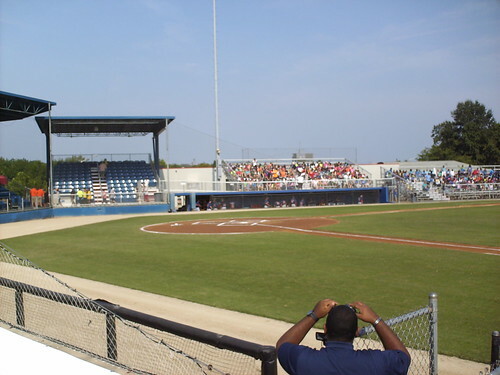 The grandstands at Legion Field as seen from the right field corner. 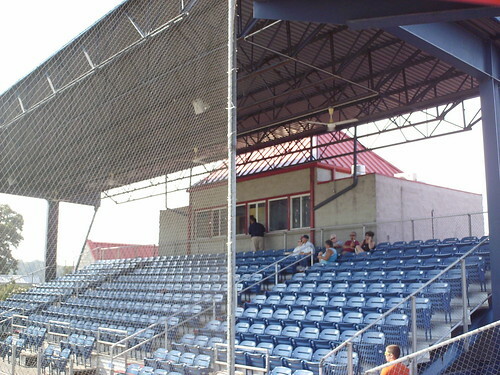 The main grandstand structure is flanked on either side by smaller, separate, covered grandstands. 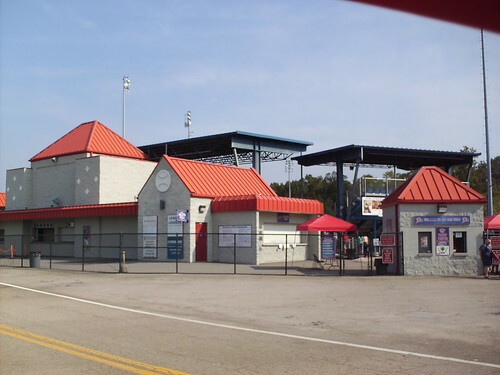 The pressbox actually sits behind the grandstand, as part of the concession building. 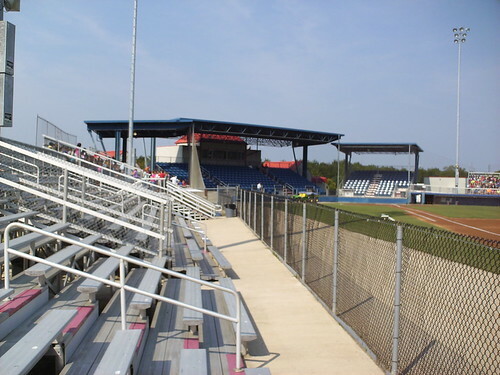 Several sections of bleachers extend out down each baseline from the main grandstands. 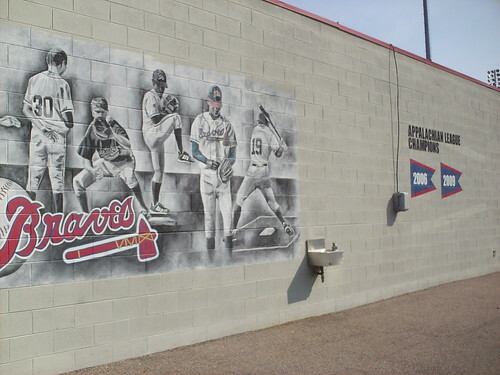 A mural on the concourse celebrates the team's affiliation with the Braves, while banners celebrate the team's Appalachian League titles. 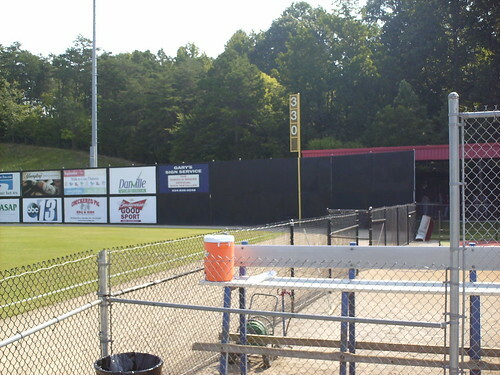 The bullpens in the right field corner, with batting cages behind the outfield fence. 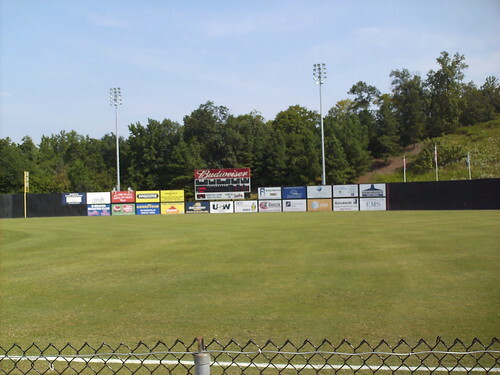 The outfield fence is fairly uniform all the way around, except for a dip in height where the scoreboard sits in left field. 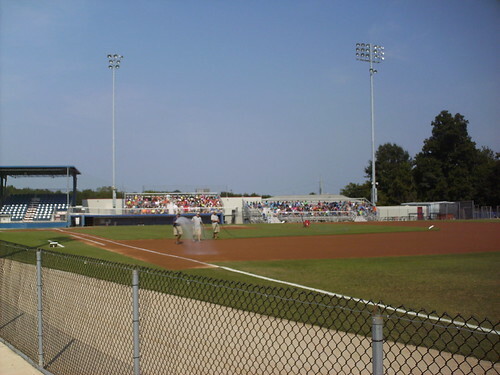 The backstop is squared off at the grandstands, creating a pair of sharp angles behind the plate. 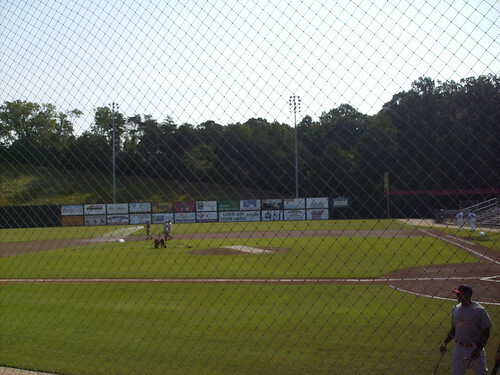 The Danville Braves on the field during a game at American Legion Post 325 Field.